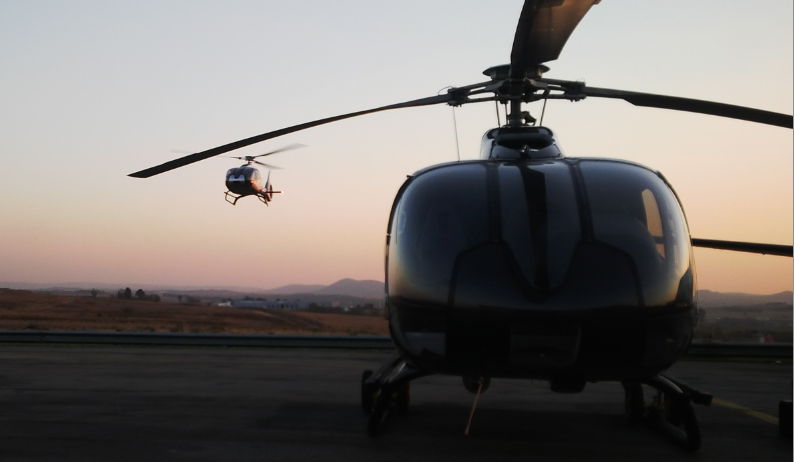 Headquartered on South Africa’s east coast, helicopter company Acher Aviation has been in operation for 13 years. After getting their start by providing round-the-clock marine pilot transfers to vessels passing through the country’s ports, Acher has now expanded to include an on-shore division that offers aerial services for mining, safaris, and charters, among others. Acher Aviation is a specialist helicopter company based in South Africa. We began by starting a marine pilot transfer via helicopter to vessels entering the ports of Durban and Richards Bay. This was a 24/7/365 operation essentially landing or hoisting marine pilots onto vessels. Now, Acher also has an on-shore division which provides helicopter services for things such as mining support, executive and VIP charters, and airborne safaris. The offshore side of the business currently provides berthing crew transfers for the oil industry. We were using another product but found the Spider to be more practical and user-friendly. We also needed the satellite option for accurate emergency response and to ensure we were tracking our aircraft at all times for security purposes. The ability to accurately and easily track multiple aircraft in different locations. The mobile app is also a major plus for us, as you don’t have to be sitting at a desktop to track the aircraft. We’ve also referred to Spidertracks to check historic information, which is easily obtained. Ease of use and (with the correct approvals) the ability to track multiple aircraft even if they aren’t from your organisation. In Africa, radar and flight following are extremely difficult. Because we sometimes operate over land in foreign countries, it’s comforting for both crew and management to know where an aircraft is at all times and the routes it’s flying and has flown so they can immediately locate it if assistance is required. For the offshore operations, it’s imperative that we’re able to react swiftly in the event of an emergency. Spidertracks allows us to do this by giving us an accurate location of the machine. Knowing the location of the aircraft, no matter where it might be, is a major plus. Spidertracks also enables us to assist from remote areas (HQ) by telling us things such as current ground speed and ETAs. We also have security customers who aren’t aviators who need to be able to track the aircraft. By giving them access to Spidertracks, they can view paths and locations themselves and rest assured that all is well. Our overall safety has greatly improved since introducing Spidertracks to Acher.